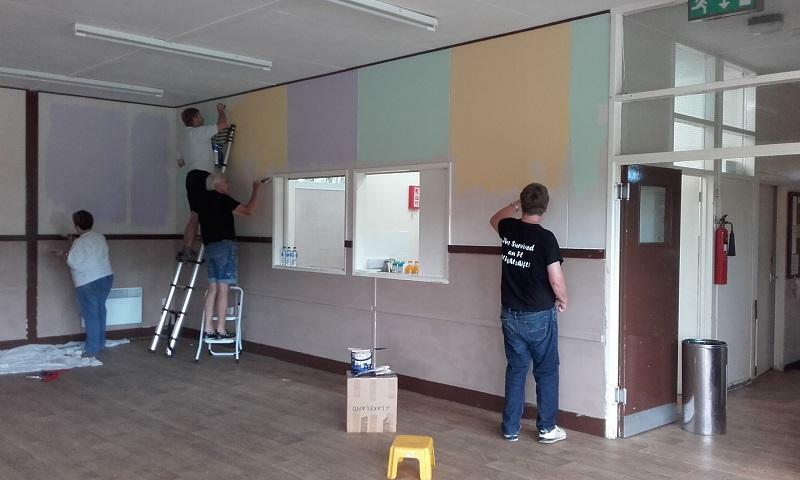 We were approached by the committee which runs the Westgate Community Hall in Lymington Road to see if we could help with the redecoration of the hall. The Club members were pleased to approve this "hands-on" activity and were able to donate the paint, brishes and rollers. 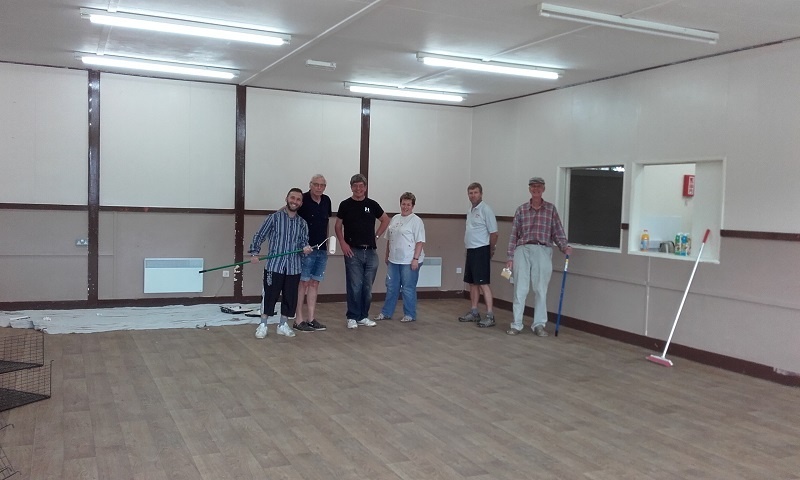 Accordingly, a gang of Rotarians, assisted by volunteers from the hall users groups, arrived to find multi-coloured wall panels and tired gloss-painted wood surrounds. After consultation with the hall committee, it was decided to paint the upper part of the walls in silk "hessian" emulsion and the area below the dado rail in silk "cookie dough" emulsion (effectively cream & coffee). On the Friday morning, a first coat was applied to all surfaces and we could tell immediately that a number of coats would be required to cover the deep pastel colours. The paint was sufficiently quick drying to allow a second coat to be applied on the Friday afternoon.This work was carried with added energy after members of the hall committee supplied the workers with a delicious fish & chip lunch! On the Saturday morning a final coat of emulsion was applied to the walls and all the wood surrounds received a coat of chocolate brown gloss. Again, huge thanks to the hall committee for keeping the painters supplied with drinks and delicious sandwiches at lunch time.